I found Calming the Chaos to be a extreme eye opener! I have learned over the years the importance of being true to yourself. I had really never though about the concept of TIME. After ready Calming Your Chaos I totally agree with Jackie's definition of TIME. I am curious if you too will agree or disagree with her. Reading her book I could definitely relate to Level One and Two. At one point in my life I was a miserable One. I guess due to survival I moved into a TWO. I do know I am currently a THREE. It took a terrible tragedy to make me do some serious soul searching and make some very needed change in my life. I have learned that I am who I am. I do make a difference in my way - not anyone else's way. I guess you could say I move at the beat of my drummer. People often are amazed I really don't care who and why....I seem to focus on what. I am considered the calm one at work and also in my life. 30 years ago that would of been a ridiculous description of me. I walked with a heavy load on my shoulders and was definitely fast to express disapproval. Please don't think I am saying I am perfect - I am far from that. I have a long way to go. But I am at peace with who I was and who I am now. A few times the One & Two come to life. It takes me a while to regroup and move ahead. I might be speaking a foreign language to you - if so. I highly recommend you give Calming the Chaos a try. Read it and hopefully I will make some sense. 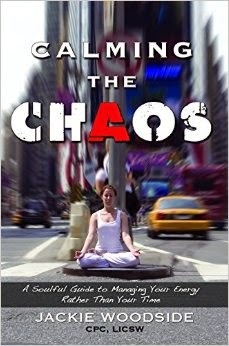 Calming the Chaos is a book I think everyone should read. Taking even the smallest meaning from the book with make a difference in your life. Q. In your book, Calming the Chaos, you state that there is no such thing as time management. Why is that? A. There is no such thing as time management because time is not the variable. We all have the same resource of time. If we got up today, there is a strong chance that you have 24 hours ahead of you. Whether you are the president of a company or a nation, or running a home or going to a 9-5 job, we all have the same resource of time. The variable is what you do with the time you have. How you chose to use your time, what activities you put in your time, how well you organize your activities and so on. I know people have things they “have to do” but recognizing that there is only time and how you use the time is the gift and the key. Q. Why did you write this book? A. This book was really a way that I learned to manage my own Adult Attention Deficit Disorder. I didn’t want to spend my life taking medication and I believed I could learn to train my neurology in such a way that I could manage myself better. So basically I developed this program for myself, but when I saw the tremendous changes in my productivity and peace of mind, I know I was on to something that would make a difference for a lot of other people – whether they have ADD or not! Q. Your book talks about “energetic consciousness.” What is that and why is it important for calming the chaos in our lives? A. Energetic consciousness is the “vibe” of a person. It is created by the way a person thinks, the attitudes they have, the beliefs they have, and the way they perceive the world. We have used that phrase about someone’s “vibe” for a long time, but now there is a science to back it up. We each have a way that we perceive the world and that perception gives our experience of the world. Change your energetic consciousness and life truly changes. Q. Did you have another career before becoming a writer? If so, how did that impact your writing? A. 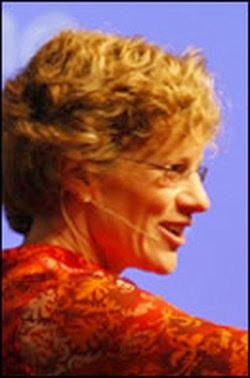 Yes, I was a psychotherapist for over 25 years. I am certain that my years of work as a therapist helped me see things in a particular way when I started researching this book. I have developed a very broad understanding of how human beings function and that helped me create the concept of how to calm the chaos in our lives. I love the understanding of energetic consciousness in addition to my understanding of psychology. It gives me a very broad range of knowledge to draw from as I developed my ideas.